How well do you know your card… or do you even know it? 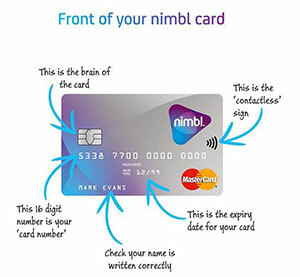 Know all the details on your card so you use it correctly & safely. So much information… but what does it all mean? The golden or silver chip that appears on the front of your card is the brain of your card. This allows your card to encrypt information and it’s important not to damage this part, as it might not work when withdrawing money or whilst out shopping! The ‘Cardholder name’ refers to the name of the person that the card belongs to. You should always check that your name is written and spelt correctly. The ‘Expiry date’ highlights the date when your card will expire and receiving a new card before the expiry date is important as your old one will stop working. The ‘Contactless’ sign means you can simply tap your card to pay where you see the contactless sign for amounts under £30 without entering your PIN – Quick and easy! The ‘CVV’ number refers to the last 3 digits that appear near your signature strip at the back of your card. It’s usually needed when buying things online. Have fun and remember to ask nimbl if you get stuck… we’re always here to help!